Right Course/Wrong Course: I find myself in an odd position. I’m not particularly interested in female ordination, though if it were offered to me, I’d not turn down the blessing. And yet, here I am, offering my two cents to OW. First let me say that I can imagine a day when some form of priesthood will be granted in mortality to LDS women. In the late 1990’s, I became one of those dreaded history hobbyists, though I’ve not kept up my private study with any rigor. Regardless, back then I was stunned to learn that Joseph Smith spoke openly of female ordination. For instance, Emma Smith and her counselors were “ordained” to the Relief Society presidency (See Joseph Smith Papers, beginning bottom of pg 5). Of course, the term “ordain” in regards to women and LDS history has been parsed ad nauseum. A good, old-fashioned Mormon revelation–a real Thus-Saith-the-Lord–would be settling. However, even if female ordination became available, I doubt the practice would exchange a single male face in the organizational flow chart with that of a female. After all, Joseph Smith did not place any women in leadership positions outside the women’s Relief Society. Some may assume, in this day and age, female ordination would inherently mean broader female leadership, but history doesn’t bear that out. At least, that’s how I see it. Communicating only “to the leaders of the church and to the Lord” is a mistake. In fact, at this point, it is redundant. You’ve made yourselves clear and visible to the Church hierarchy, and you’ve prayed. I submit the focus of your communication needs to be on the people sitting beside you in the pews on Sunday. They don’t stand with you and, if they don’t stand with you, how can you assert that they, particularly the daughters of God, are ready? By taking the public action that is planned for the the Priesthood Session of General Conference on April 5th, 2014, you will increase the membership’s distrust of you and leave them even less ready for female ordination than they are now. In other words, OW, you are about to shoot itself in the foot. Stay with me as I review a little 20th century history to support my point. Member Readiness May Matter more than Personal Worthiness: I remember reading that Apostle Spencer W. Kimball sensed that the priesthood would/should be extended to all worthy males long before the 1978 revelation. As an apostle, he felt moved to bring up the subject in meetings with the Twelve, but there was either no interest or agreement. Once Kimball became the president of the church, he moved among the Saints, quietly telling male members of “African descent” to prepare themselves, though no promises were made. Approximately three years after he became president, he and the apostles received a revelation that literally changed the face of the priesthood. Ordain Women hopes for a similarly sensitive church leader and a similar revelation. Some cynically point out the revelation granting all worthy males the priesthood came only after years of political and social pressure on the Church … and they are correct in that, even if they are not correct that that pressure caused the revelation. If the church didn’t give in to earlier pressures, I have no reason to think any specific pressure in June of 1978 would have been sufficient to effect a change without the kind of spiritual experience that earns the title of revelation. Interestingly, today’s discussions about blacks and the priesthood tend to revolve around the church hierarchy–the Brethren–and not the membership. But we forget that, in 1950, if a group of black Mormon men had stood outside a priesthood session of General Conference, asking for admittance, they would have been turned away. In fact, it’s very likely they would have been condemned by mid-century American Mormons as uppity, as not understanding either their place (their divine nature) or God’s will. Both are things OW members are accused of. I think it’s a fairly safe assertion to make that, in 1950, the Mormon population in the U.S. was not ready to accept the extension of the priesthood to black males. And so it didn’t come. Something had to change. Enter the Civil Rights movements, brought straight into American homes with the advent of television. Images of bigotry softened hearts all across the U.S., including the hearts of the Saints, and taught all of America that Christ-like love must overpower socially-entrenched racism. Without this change, the 1978 revelation, late as so many argue it was, may never have happened. The membership of the church had to be more than okay with the change: I believe it had to crave it before the revelation came. To put it simply, the negative feelings Latter-day Saints hold for the secular feminist’s organization is bleeding over into their feelings about today’s LDS feminism. We see this manifest in rampant assumptions that LDS feminism is angry, demanding, power-hungry, anti-family, anti-God, anti-church and, of course, anti-men. Ordain Women has a difficult uphill battle, one which external (secular) feminist pressure is more likely to hurt tha n help. This is a very different model than the one preceding the revelation granting ordination to all worthy males. The broader membership is just beginning to consider the way we address female modesty. Female ordination is a long way from that. If OW continues to focus primarily on communicating their readiness and humility to the leadership and the Lord, but does not focus on preparing the membership, the revelation they seek will not come. Far be it from me to compare the struggles of African Americans, whether outside or inside the LDS Church, to the current situation of LDS women. To do so would an injustice. But the parallels between the restoration of the priesthood blessings to worthy males regardless of race has built-in parallels to the current quest of Ordain Women. And so I must visit the comparison as respectfully as I can. Genesis Group founder Darius Gray has spoken often about his early efforts to make the church more inclusive. (Read the last question/answer of this interview with Mormon Artist.) One thing that is absent from the way the Genesis Group went about its efforts is a visible protest presence, even one as mild as standing outside the doors of the Priesthood session. I estimate Gray and other Genesis leaders understood such action would inflame existing prejudice, rather than help their cause or lead to an ecclesiastical answer to their prayers. They intuited that their quest was as much a public relations outreach extended toward the general membership as a matter of prayer and inspiration from the Lord to the First Presidency. Let’s not forget that leaders of the Church of Jesus Christ of Latter-day Saints (affectionately called the Brethren) are also part of the membership and of the Mormon culture. No one hires them from outside. They grew up with the same cultural code as Mormons without high position. If they are particularly aged, they were taught a gender-differentiated worldview. If, eventually, there is to be female ordination, the path to it will likely mirror the path to ordination for black male members. In other words, the general membership must have their hearts softened toward it. Not because the leaders of the Church will bow to the desires of the membership, but because the membership is the soil our Heavenly Father uses to grow truth. The soil must be prepared while the Lord is whispering inspiration to his sustained leaders. Trending: Consider the current climate regarding female ordination. In October 2013, the Pew Research Center published a poll showing that 90% of LDS women and 84% of LDS men don’t think women should be ordained. I’ve seen more recent polling that suggests the numbers of LDS women opposed to female ordination remains the same, but that more men are warming to the idea, possibly by up to 50%. 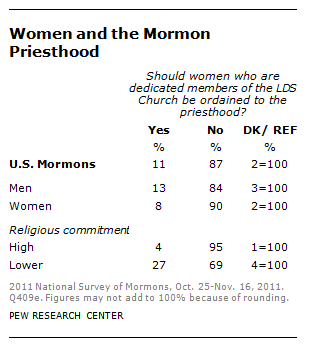 Either way, a substantial majority of the membership rejects female ordination. The rhetoric I hear coming from the general membership of the church is often hostile toward feminism in general, and Ordain Women specifically. Just as the church membership once accused black LDS men (and there weren’t many) who dared aspire to the priesthood of not understanding or submitting to God’s will, so they accuse Ordain Women of not understanding the divine nature of women. Or of men, I suppose. The similarities are real. If a revelation instating female ordination is to come, OW needs someone like Spencer W. Kimball, a man who is sensitive to the issue, a man open to inspiration, and a man who the Lord will, in time, elevate up the patriarchal ladder. As Kimball was being prepared by Heavenly Father, a work among the members was also happening. And a similar work will be needed among present-day Mormons before any revelation could occur, assuming it will occur. If you still don’t think it matters to the institutional Church that the majority of the membership is opposed to female ordination, consider the elevated import the Church’s official response to the planned action places on the need for wide consensus among, at least, LDS women. Paragraph two of the March 17th statement to OW from the Public Affairs Office reads: “Women in the church, by a very large majority, do not share your advocacy for priesthood ordination for women and consider that position to be extreme.” With this line, the Church has officially acknowledged that nothing will happen until the membership desires it. In essence, the statement outlines the preparatory work OW must accomplish: Ready the soil (ready the culture) or the seed will not take root. Individual supporters of Ordain Women may feel ready for female ordination, but most active, faithful LDS women aren’t giving it serious consideration. The David and Goliath Paradigm: After the Church’s PR department issued its statement, I came across one LDS feminist’s comparison of the Ordain Women/LDS Church paradigm to that of David and Goliath. Though not a proponent of female ordination, she felt that the church’s statement was combative and that issuing it was a public relation faux pas for the Church. She reasoned, the little guy always wins the hearts of the people. Perhaps in the non-LDS world, Ordain Women gains sympathy because the statement establishes a David and Goliath paradigm between OW (David) and the Church (Goliath), but the opposite will be true in the LDS world. Mainstream Mormons are going to root for their Church which, unlike Goliath, they view as good and true. As I reflect on the David and Goliath paradigm, it strikes me as something OW should be careful to avoid. Consider the Biblical story: A young upstart picks up a stone and, using his slingshot, kills Goliath, the giant. After this success, David chops off the giant’s head and eventually becomes the leader of the people. The David and Goliath analogy suggests that Ordain Women wants to destroy the Church and assume leadership. This paradigm feeds the fears of the mainstream LDS. Maybe the PR department was calculating enough to intentionally establish this paradigm, but I’ll give the good people who serve there the benefit of the doubt. Regardless, OW now has to live with the fact that the paradigm is publicly established. The Church, as host of the event we call the Priesthood Session, has asked OW to refrain from their planned public action. If OW does not stay away, it will appear to the membership that, like David, they have picked up a stone. It may not be their intent to be combative, but combativeness will be the perception of mainstream Latter-day Saints, regardless of the smiles worn by OW supporters. Martin Luther King urged his supporters to remain non-violent. The trouble is, in Mormondom, disharmony and dissension are esteemed darn near as detrimental to spiritual growth as violence is to peaceful reform. The televised image of OW not walking toward the doors of the Priesthood session, but assembling elsewhere, will communicate a peaceful and positive message about them to the membership. The only stones Ordain Women should be picking up are those which clear the field for planting. I urge them to stay away from the doors of the Priesthood Session this weekend. As I see it, this is the best action OW can take at this moment in history. It will begin to soften the hearts of the general membership toward them and, by extension, their cause. OW has a choice: They either move toward the doors of the Conference Center or toward the embrace of mainstream Mormons. At the end of the day, they will not find themselves inside either, but at least one of these directions will bring them closer to a Church readied for what they desire. I caution them to choose prayerfully and wisely what they will be communicating this weekend. And to whom. 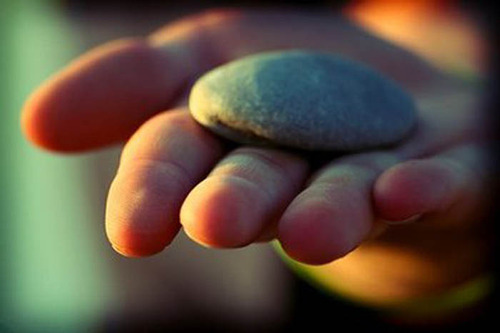 “He that is without sin among you, let him cast a first stone…” John 8:32. I don’t participate in OW, but have been a long-time feminist, and am also a lifetime member. In my attempts to raise feminist issues amongst my friends at Church, I have never had so many people willing and interested in discussing these issues as in the last 6 months or so. I agree that if there is to be a revelation extending a priesthood role to women, that the Lord will wait until the membership are ready, and until there is a prophet sensitive to these issues that is ready to wrestle with the Lord on the matter. However, I feel the communication happening now is reading the field. And I largely credit it to the high profile of OW at the moment. My theory is that there will always be people who will vilify the most extreme expression of a viewpoint. Until recently, I felt like that was me with my feminist ways, and I never raised the question of female ordination. Now I no longer feel like most people consider me extreme, and I’ve had the most positive reception i’ve ever had, even from some fairly conservative Mormons. The issue of Mormons not being receptive to feminism is probably generational I think. The era of feminism that ridiculed stay at home moms and that kind of thing happened in the 70’s, and while older generations certainly remember it, that type of thing really doesn’t appear to have much of a following in modern feminism. The people growing up now, and even who are young adults now could easily be ready in my view, for the kind of revelation you’re talking about. And from my own experience, OW is part of what’s helping that along. Britti00, do not misread me. I agree that OW has done a fantastic job of raising awareness and bringing the topic of female ordination to the forefront. If you read my post carefully, you will see that I’m not suggesting they abandon demonstrations–or public actions–in a general way, only that they stay away from the doors this particular day out of respect… and to ingratiate themselves a little with those who continue to consider them troublemakers. Demonstrate elsewhere–not in the Free Speech Zone obviously–and I’m sure the cameras will follow and the conversation will continue. This is a small concession and not a concession of their mission or values. I’m not sure they’d lose a thing by reinventing this action, not that I think they will. I agree that older generations of Mormons (to include the Brethren) may be less inclined to embrace feminism than younger members, but I wouldn’t bet the farm on it. I see Mormons of many ages being open to LDS feminism, but I’m not seeing them open up to female ordination. This past weekend, I attended my local book club meeting, which is comprised mostly of younger women. They most certainly are interested in discussions about gender issues in the church, but universally they are not interested in female ordination. They think OW is wasting its time and causing contention where there needn’t be any. They expressed a desire to see LDS feminism focus on “real problems” and affirmed their belief that the priesthood is simply something God wants men to have and not women. In other words, OW is not winning their hearts. I may be wrong, but I seemed to sense some near resentment on their part for them not focusing on issues that *can* be changed, (remembering, again, that they not only don’t think female ordination is a change that’s in the pipe or should be). I’m simply saying that, based on my experience with women like these (women who are faithful, young, and devout), OW could get a lot of traction out of redirecting this particular public action. Not stopping public actions, not shutting up and going home. Just a redirection that supports their claim that they are supportive members. Such a redirection will impress a lot of faithful Mormons who have questions about OW and its motives. I (perhaps naively) have more faith in God and the Church than that God bases revelations on the misogyny and/or pride of His children. Also of note (and probably worthy of clarification): the linked Pew article was published in 2013. BUT it is based on a survey conducted in 2011. I think the way you framed that (probably unintentionally) study gives the impression that the Pew survey is October 2013 data when it is not. I don’t think I said anywhere that God bases His revelations on the misogyny, or lack thereof, of His followers. I said that the soil isn’t yet ready for a revelation and advised that the focus be more on that than on changing the leaders, who will only change the official position once the Lord so says. Thanks for the info on the poll data. I didn’t realize it was 2011 numbers since I saw the 2013 date. My bad. I was expecting to see the numbers I saw in a recent Salt Lake Trib article, which put the numbers at something like 90% of women and about 50% of men against female ordination. My searches failed to find that poll so I went with the one I had. I agree that the numbers should be updated and will look again for the more recent numbers. But the newer numbers won’t really change my point that the membership still is not interested. That will need to change and taking off-putting actions just doesn’t seem wise to me when they could still demonstrate off-site. The cameras will still follow. Zack, I’m still not finding that poll, but I went back into the post and gave it a nod. I just wish I had a link … If anyone has it, please let me know. I’ve read those Salt Lake Tribune articles. They are referencing this poll. My article cited the stats you are referencing. They are from research done by David Campbell and Robert Putnam for the book American Grace: How Religion Divides and Unites Us (published in 2010). My guess is that Pew asked the questions differently because that was too big a difference to reflect a sea change, IMO. Angela, THANK YOU! Today you are my hero. I was starting to think I was going crazy. I knew I’d read these numbers. Thank you for this well-thought out post. I love that people are talking about these issues. I think my views align well with yours. I appreciate OW for the work they are doing in bringing a public awareness to “Mormon Feminism”. I also think they (for the most part) are not being confrontational, angry, or annoying). They are helping people think outside of their boxes. We need that. We need to see what others see. We need to feel what others feel. We need to listen and not judge! I wish them luck this weekend, but I also wish them the saavy-ness they may need to deal wisely with the situation they are in now. I hope that as we try and share our feelings with the others “in our pew” that they will listen and not judge. I think it is actually interesting that while OW and fMH are pushing for more respect and recognition and fairness and equality for women, some of their biggest antagonists are ‘stay at home mommies’, many of whom have and will benefit immensely from the changes made because of the Feminist’s willingness to be vocal. Rebekah, I love the discussion too. And I agree with your observations about today’s LDS feminism not being confrontational in the way so many accuse. There is, of course, a level of confrontation in asking for entrance to the Priesthood Session when they know they will be turned away, but they handled that last year with class and dignity. I applaud that. The video of that experience (which I link to) is quite moving. Regardless of what they decide to do–to stick with the planned action (which I expect) or alter it in some way (which I recommend)–I’m confident the OW leadership will find a way to continue to navigate through it all. Thanks Rebekah. You’re wrong and I hate you. Also, that poll is completely arbitrary. It doesn’t matter what “the church” thinks or what members think. Since when did a vote on whether women should be ordained have any bearing on church policy and doctrine? Isn’t that your whole argument against OW? That we need to stop petitioning because what we think has nothing to do with God’s will? Yeah. So stop it. You’re just contradicting yourself and you look dumb. Oh, you let me worry about whether or not I look dumb. I said nothing about votes or even popular opinion. I said that the soil isn’t ready for the revelation OW wants. I used the polling to demonstrate that point, not to suggest that God will grant a revelation when the numbers are better. Furthermore, I am not arguing against Ordain Women and I certainly have not asked them to stop petitioning the Lord or church leaders, only to focus elsewhere because both the Lord and the leaders are aware of their desire. They should focus more on messaging to the general membership. I admire Ordain Women. In fact, I’m suggesting a path that I genuinely think will improve their odds of success. I’d also point out, Keli, that your vitriolic tone toward me is hardly going to help your cause. Unfortunately, you are shoring up the notion that LDS feminists are angry and accusatory. Lisa, I really appreciate what you are saying here and even as a member of OW, I’ve asked myself the same questions. In the end, I realized that the PR department severely misrepresented OW and I feel like that was purposeful. I think the best thing we can do at this point is demonstrate how reverent we will be so that we are able to demonstrate that we are not, truly are not, a disruption but conduct ourselves with love, faith, and propriety. Amy, thank you. I trust OW will handle themselves with as much dignity as they did in October. I prefer to be careful about assigning nefarious motives when I really haven’t a evidence (…unless we are talking about a politician. 🙂 I don’t know. I’m sure the PR dept has smart people working there, people who calculate the effect of their wording. Its troubling. Unfortunately, as I wrote, OW is stuck with the paradigm they established. Hang tough and stay prayerful. Honest question- Don’t you think the best thing would have been to respectfully honor the request made to you by the Church? You say you feel that you were misrepresented. So wouldn’t you want to remove all doubt and show that you DO sustain the leaders and respect the Church enough to accept what they asked of you? Wouldn’t ignoring their request reveal something about your group that would give an air of legitimacy to the things you feel are misrepresentations? Amy, you said “I realized that the PR department severely misrepresented OW and I feel like that was purposeful.” I’ve heard a number of OW supporters echo the same thought. I expect that pretty much everything put out by a PR employee of any organization is “purposeful,” that’s kind of their job after all. However, I don’t accept that this is a smear job that we’ve gotten so accustomed to in the world we live in. Rather than lying about OW, I see the statements put out by the Church as an honest representation of the Church’s perception of OW’s actions and statements. The fact that most rank and file members agree with the Church’s expressed perception (no surprise) seems to be OW’s biggest problem, and I think that OW would have been better served to have followed Lisa’s advice above, which was excellent. Regardless of the root cause, OW does appear to many (or most) to be in opposition to the Church. The media loves that narrative, so they push it. The Church clearly believes this to be the case. So, when I hear Kate Kelly claim that OW is “in the Church,” and more ambitiously state that OW “is the Church,” it rings really hollow. Most members don’t accept that faithful members do what OW did, regardless of how reverent or respectful OW tried to be. OW’s continuation of the action after being asked to not do it was not viewed as reverent or respectful by the rank and file. Another point in this discussion is leaving it to the Lord to determine what that Priesthood would look like: would it be an ordination into the Melchizedek Priesthood exactly like men, or an ordination into a Relief Society priesthood. So far, OW is demanding only one form of MP priesthood, and not a women’s version. This also establishes a demand that smacks of NOW. That Darius Gray and the Genesis group had historical hope: Elijah Abel, etc,. gave them a direction to go in. Emma Smith’s ordination to the RS presidency would perhaps also be a historical pattern. However, one then has to accept that there may be a difference in priesthoods. I’m not sure OW is interested in receiving what the Lord would offer..
That’s essentially what I see, or what I wonder about regarding the future of female ordination. What will it look like? This is a tough one because, should a revelation come and should it not restore a priesthood that looks like the male version, our faith practice will remain in conflict with the broader American culture. What then? But I have to say, this is a very interesting time to experience life as a Latter-day Saint. Thanks for chiming in. I don’t have anything to add, just couldn’t stand that to be the last comment. Thank you, Lisa, for your well-written, cool-headed thoughts. I was most alarmed a year ago that we (church population at large, even self-proclaimed “feminists” such as self) were unable to have a calm–or any–discussion on the subject, and am happy to see that it has changed. Hooray for progress. This is a very interesting, pragmatic read on the situation. Awesome post. Thank you for weaving your way through the crowd of voices of those for, against, confused by, and curious about Ordain Women and for describing that path very carefully. I also enjoyed reading your exchange with justagirl on your other post. Kudos to you for being able to see where the common criticisms are empty and unthought, but, for all that, also being able to see what actual constructive criticisms can be made. When there are unthoughtful comments or criticisms on either side, it’s important (though daring) to be able to work through them for the sake of understanding, progress, and truth. Whether or not I agree or like all of what you said, I whole-heartedly respect your intellectual and sensitive work. Thanks again. Thanks Karen. I try to limit my brain-dead days to Sundays, since (forgive me) sometimes meetings can be a tad dry. And sometimes its better if I just sleep through Sunday School so I’m not tempted to chime in. In all seriousness, I appreciate your generous words. I’m wondering if you guys are being so nice to make up for that one person calling me dumb and professing her hatred for me. If that’s the case, I think I should have someone call me dumb every day. I think you are right. It is an interesting conundrum OW has set up for itself. However, OW has a few other flaws that I think feed into this so called “debate” without even realizing it. 1) OW has created a false dichotomy with regards to Priesthood. They are demanding it for all of God’s children; but I have always wondered what it is that they think the “Priesthood” is. When the members of OW, or its founding and leading group, think of or envision the “Priesthood,” what is it they see? Do they see the Bishop? Do they see the pageantry of priesthood ordinations and blessings? Or do they see baptisms? If they see the Bishops, then all they see is the leadership – which women in the church already have. In no other Christian church that I can think of can a woman lead any portion of the church without an ordination into a “priesthood.” And yet, women in the LDS Church have been able to hold positions of leadership from the beginning (hence Emma’s “Ordination,” which was not an ordination into a priesthood, but a consecration for a calling; it still happens today, but we use a more refined nomenclature). Today, a woman can lead a local, stake, or general group of women in several different positions – Relief Society, Young Women’s, and Primary. They can serve as mission presidents along with their spouses (just as men serve as mission presidents with their spouses). So, women can lead in very meaningful ways. To say otherwise, is a false statement. If they see the pageantry of priesthood ordinations and blessings, then they are simply mistaking the facts. Women already hold a magnificent power in themselves, one that does not need rigorous rules, or events or even interviews. Women enter Young Women’s and Relief Society without the need of having another person put their hands on her head. The power and authority to enter those groups is inherent. Why demean that with what the men go through? Men must be interviewed and set apart by those with the authority to do so. Men have gates and obstacles to their power and authority. Does OW really just want the pageantry of it? To strip the women of what they have already and make them earn it again? If that is the case, then what does that mean for the generations of women who served before OW? The many powerful and wonderful women who did such amazing things without being “ordained” to a priesthood? Did it mean nothing? I certainly hope not. Or do they see laurels and priests conducting baptisms? Blessing the bread and water? Deacons and Mia Maids passing the sacrament? What about at the temple? Do they see women putting their hands through the veil? Using the sealing powers? In all of their rhetoric, OW will have a hard time finding scriptural/historical support for such use of the priesthood power, let alone doctrinal support. Regardless, OW has created this false dichotomy, by establishing an “Us v. Them” argument. At the risk of making a strawman here, it appears to me that OW argues “Men have all the priesthood, and women are left with nothing.” This is terribly untrue. Even if it is stated as, “Men have more priesthood, and women are left with less,” it is still untrue. As is seen in the temple, men and women officiate in the Melchizedek Priesthood together. That is the purpose of the Priesthood – it is not meant to be held by one person, but by two. Just as the powers of procreation are not meant to be held by one person, but by two. To deem otherwise robs all parties of the amazing symmetry of God’s plan. So, OW has shot itself in the foot. But I do not think it is only over the issue of protesting (repeatedly) outside of the General Priesthood Session. It has taken upon itself and perpetuated a dialogue that requires people to state that they are either in line with the leadership or against it; they either accept God’s chosen council, or oppose it, waiting for the “righteous” leaders to come along and change the corrupt system. Their outreach to the 1978 extension of the priesthood propagates a narrative that is in its core incorrect, and then capitalizes on it to gain persuasion and power over the people. They appear to have asked a question of the leaders, but deny the leadership’s response, and denounce it as not of God; presupposing that they can receive revelation for the Church above God’s anointed. I have often asked people, where in the scriptures do we find the tactics of OW being used? The tactic of challenging the church to move, and refusing to comply with the Lord’s Prophet? In the Book of Mormon, these tactics were referred to as cunning, flattery, and pride. I ask, “In seminary, did you ever ask yourself, how could anybody follow these people?” Sherem, Nehor, Corihor, Amalickiah. I think if there is a lesson to learn from history, it is not that the Church once “ordained” women; it is that the Lord is in charge. Yes, we can bring our questions to the Church; but when the leadership answers, we accept it. Tolsti, thank you for your well-constructed comment.You’ve done a very nice job of summing up the way many LDS see this issue and the points you raise need to be a part of the discussion. Your question about just how OW envision a priesthood is a good one. I suspect there may be many answers since all supporters are individuals. Like in politics, I think people’s minds work on different tracks. I actually plan a post in the near future about how two people with very different ways of looking at a problem, ways that seem in opposition to one another (and that are perceived that way by one another), can, in reality, be heading in the same direction. I’m pretty sure the OW supporters don’t see themselves in opposition to the church or the Lord. God knows their heart. From what I can observe, hear and understand, they are well-meaning. I think its important all of us make the effort to learn to read one another’s map of the world. Check back next week for The Parable of Convict Lake. It won’t be the post I plan about political discourse in the church (which has application to this discussion), but will address how it is people with such different views can be counted among the believers. I’d love to hear your feedback on that upcoming post. Again, thank you for chiming in. Something that puzzles me is this: The author writes beautifully about how Spencer W. Kimball was primed and ready for the revelation on blacks and the temple/priesthood. Thomas S. Monson spent five years as the bishop to 70-some-odd widows and 50 years telling the Church stories about exercising the power of the priesthood to minister to faithful women who do not have the priesthood in their home simply because their respective husbands died. He has been primed and prepared to receive this revelation. And he has primed and prepared the Church to receive and accept it. Monson has spent virtually his entire mortal ministry speaking passionately on the subject and laying what could very logically be considered a groundwork for a revelation about women and the priesthood. A revelation about ordaining women would be a beautiful and poignant conclusion to his ministry. How wonderful would it be for a man who has spent his entire life speaking about using his priesthood to bless widows to stand up and declare that the sweet widows and millions of other women of this Church should no longer have access to the priesthood through overburdened bishops, but through ordination? And that may well be what happens. Thank you, Zack. Beautiful–and faithful–point. The thing about Kimball is that we know he felt the ban was prime for divine change, but it still took him 3 years to receive the revelation after he became prophet. Why? Maybe it took three years of his influence to move the 12. Or maybe he needed those three years for something else. Maybe things will change sooner than I and a lot of other people anticipate. If that be the Lord’s will, I’m all in. Trust me, I have no personal need to be right. In fact, being wrong can be as much a badge of honor as being right if, in error, humility presides. This article in general is pretty well-balanced. Without going into my personal thoughts, I must point out that this statement above points out a fundamental problem with much of this debate. The women themselves receiving the priesthood would in fact not relieve these “overburdened bishops”. This establishes an error in thought expressed by OW as well: “we want to receive the blessings that the priesthood brings”. These statements don’t express the true purpose of the priesthood, which is serving others and blessing others. I cannot lay my hands on my own head, nor does the priesthood fortify my ability to do for myself. The priesthoods true purpose is service. It is at this point I could express that I believe motherhood to be a form of priesthood. I could express what most members already have about women creating life, and raising children. But that really isn’t the point to those in this movement. I can only say that I hope we ALL have faith to accept revelation, either direction it goes. I am ready to accept what the Lord reveals, and I hope that those in the OW movement are ready to accept what is revealed even if it is not what they have fought for. We must all battle the prideful thought of “knowing better”. We should all pray for the faith to follow whatever His revelation may be. It is true that, for the sake of convenience in sentence structure, my comment conflates the blessings received through priesthood blessings and the blessings of priesthood ordination. I consider both types of blessings to be tremendously important. Church leaders certainly speak at length not only about the blessings received by those receiving priesthood ordinances and blessings, but the blessings received by those performing them. I do not think it is correct to characterize any type of hunger for equal access to all types of blessings of the priesthood as an “error in thought.” The world needs more priesthood in it. Every ward I have ever been in needed more priesthood and every one of them was a revelation away from potentially doubling their roster of active, worthy, and faithful priesthood holders. Those 85 widows (per Wikipedia I undershot the number in my prior comment) in Monson’s ward were certainly blessed by his faithful ministry. 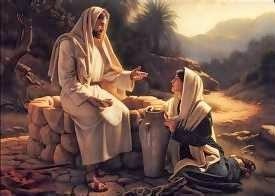 How much greater could their blessings have been if, though ordination, they had been able to minister to one another? Not only would this have eased the burden on their wonderful bishop, it would have greatly increased each of those widows’ access to priesthood blessings in times of sickness and despair, blessed them as they righteously exercised their priesthood, and advanced the work of the Lord. I want to post this and I hope this does not come off as extremely confrontational. Here goes. Motherhood does not equal the Priesthood. I like to think of it in terms of math. The correct parallel for this is: Motherhood=Fatherhood. Might seem like a very simple point, but I believe it is extremely important. When we try to equate motherhood with the priesthood, many also make the illogical conclusions such as: women are awesome because they can have kids and, since they should stay at home with them, then that is their main job. While the man’s main job is to provide for said children AND run the church. That’s not true. Both women and men have a responsibility to pitch in and help “run” the church. Parenting should be a team effort. It should be an equal comparison. My “job” is to take care of the kids during the time my husband is gone with his “job” that provides for our kids. When he gets home, we jointly care and teach our kids. We degrade women by creating the attitude that motherhood is some sort of substitution that we got because we aren’t eligible for the priesthood. It makes me want to weep that women are somehow subconsciously unaware of how important motherhood is, that they must try and make themselves feel like it is either part of the priesthood or better than the priesthood etc. Motherhood is a divine calling. We have been told it is near to the angels; why do we feel the need to make excuses for it? I understand in the busyness of kissing boo-boos and bath time and chores and the endless diapers and spit-up or teenage attitudes…. that it may not *feel* angelic, but it IS. All of these ideas are just myths and we need to stop thinking like that. Motherhood is not a consolation prize. Rebekah, you have spoken very well the sentiments of a growing number of women. LDS women. The gender issues we have to deal with as a people don’t solely effect women. Thank you. Motherhood is not a consolation prize. To say that suggests that you do not view it with the glory that is inherent to it. I am not married and do not have children. But I am here to prepare for my eternal mission, which will be different than that of a son of God. We have different elements of the mission and we are here to prepare. Motherhood IS the prize. Even if we do not have that experience on this earth- we are here to prepare for it for eternity. If we do not value it as the most sacred of all responsibilities then we will value something else as greater and we will not be prepared for eternity. Fatherhood is the prize for the sons of God. They are here to prepare for THEIR eternal experience. The Church and the family is structured in such a way to prepare them for eternal duties. The offices of the priesthood give them opportunity to learn what it means to become a father forever. We do not need that experience. Because WE are preparing to be mothers forever. And that will not be the same experience. Therefore the preparation is different. So, you would rather these women have “had” something so they didn’t need anything and the Bishop wouldn’t have needed to visit them and then the sacred, beautiful experiences of coming together wouldn’t have happened? There is GREAT purpose in us needing each other. President Monson’s experiences with his beloved widows shows this. We are meant to need each other. If we fulfilled all our own needs- we’d never become an eternal family. Zack- In your mind it would have been better for the women to have no need of their Bishop and therefore just stay by themselves and for all those beautiful sacred experiences of pure love to never have taken place? It is BEAUTIFUL that they needed their Bishop. And beautiful that their Bishop knew that and served in the true manner of the priesthood. We are meant to need each other. What some call burdens are really opportunities for loving and sacred relationships to happen. Miracles. If we all had all things and didn’t need each other- we wouldn’t establish a forever family. That is the essense of family. We need each other because we all bring different gifts and roles to play. I think you have done an admirable job of defining many of the issues surrounding OW. I disagree with a couple of your points, however. Early in the article you state that the women will feel bad about leaving the the church they love. I don’t think that many of these women love the church as they do not support the church hierarchy and to be a good Mormon you have to believe that these men are called by and inspired by God. OW is attacking that principle. A few days ago, I read the letter sent by OW to the First Presidency requesting being able to attend Priesthood Meeting. I know that some of those women have already left the church, so obviously they don’t love it. I agree with you that history is not on the movement’s side in achieving success, and I think the result for them will be disassociation from the church either by their own or by church disciplinary action. Thank you for your discussion. When I listened to the fMH podcast with Kate Kelly, one of things she did a very nice job of explaining was that the women in the movement who have left the church, often left the church because they felt marginalized. We can look at that as "not loving the church," I suppose. But what I hear in that is those women saying, "We didn't feel the church loved us." Humans are complicated. I thank God every day I'm not required to judge people's hearts. I do believe most of the women involved do love their religion. One thing I especially hope–indeed, pray for–is that the disassociation you forecast does not happen. Thank you for this post. I appreciate your ideas and as a member or OW, I appreciate you respectful tone even more. OW has started many discussions about Mormon women and I am glad about that. Your thoughts are intriguing and I’m glad you’ve added this voice to the conversation. The majority of the OW sisters who have reached out to me have been particularly kind and respectful in return. Of course, I’ve read accusations that I am condescending in this post. >Heavy sigh< I'm working on mastering my literary skills, let's just say that. Suzette, I don't know if you'll be there on Saturday evening at the Conference Center, but please know that I truly do respect you and hope the best for you. God speed. I very much appreciate the tone you take in this article although I disagree with some portions. It must be a very complex, difficult, and delicate thing for a person or group to disagree with current Church policy and still believe the Church is divinely led. I appreciate the way you are trying to unite, appreciate, foster, and reconcile rather than the contrary. Like the quiet masses you describe, I have much more empathy and respect for peaceful diplomacy than for dogmatic conflagration. Thank you Anon. For me, it’s impossible to feel disrespect for a group who seems to be earnestly trying to navigate difficult waters. Lisa, I think OW would have been well served to have followed your very excellent advice. Their insistence in moving forward despite being asked not to certainly does more to solidify their standing as an outside group (at least in the eyes of the Church and the general membership). I would not have the serious questions I have for and about the group that I have now if they had said, “you know what? We’ve been asked not to come to Temple Square, we’ll do something else instead.” They certainly wouldn’t have as many people talking about them, but the voices as a whole would have been more positive. OW has stated that one of the reasons for their demonstration was to, well, demonstrate, that the membership of the group is ready and willing to take on the priesthood. I find it ironic that they chose to demonstrate their readiness for ordination through an act of civil disobedience. Just want to make sure you have read this on LDS.org that defines how the Church officially changed the Priesthood “Revelation” to a correction of a cultural mistake. https://www.lds.org/topics/race-and-the-priesthood (also read the new heading on Official Declaration 2). We can thank Darius Gray and Margaret Young for the research behind the change and mistake admission by the Church. As for OW, I am sympathetic to their issues on a personal level, men and women leaders make many mistakes and have their own way of doing things that could be done better; but I have received my own personal revelation that becoming a priesthood holder is in no way necessary to my salvation. Thank you for your words. I have long thought, too, that the reason the Church did not ordain blacks to the priesthood until 1978 was because society was not ready. As you said the Civil Rights movement had to happen. All of your other points were quite good as well. Thank you so much! Whether the hold-up was membership readiness or the readiness of church hierarchy, its sad and disturbing to think that white readiness caused the delay and the pain black members faced. Thanks for chiming in.